When it comes to home improvement, it can be tempting to try and handle the tasks yourself to save money. Fortunately, some home improvement jobs turn out just the way you planned and you didn’t end up calling a professional to help. However, when it comes to fence installation, the benefits of hiring a professional fencing company will most likely outweigh the benefits of do-it-yourself fence installation. 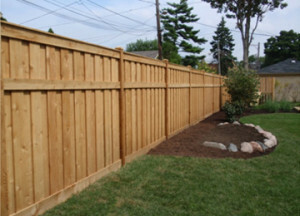 The right fencing company in Layton will have years of experience. Fence installation should be an easy task for these experts as they most likely will have perfected the process. Not only does their experience help get the task completed faster, it will add extra assurance that it will be done correctly. Having your fence professionally installed will guarantee that you will have fewer or no mistakes and the fencing will last longer, improving the appearance of your property and save money on future repairs and replacements. A sturdy and attractive fence will not only add appeal to your yard, it will also increase the value of your home, increasing the probability of selling when you put it on the market. Nothing causes a bigger headache than accidently installing your fence an inch or two past your property line. Digging the posts for your fence doesn’t sound too difficult…until you accidentally cut the water line that connects to your sprinkler system and you’re left with a muddy mess. You could fail to get the correct permits, make the incorrect measurements, purchase the wrong brackets, have to make multiple trips to the store to get materials you previous forgot, the list goes on and on. Although you are probably more than capable of completing a fencing project on your own, you may want to see if the benefits of hiring a professional fencing company outweigh the benefits of installing the fence on your own. Your decision should be based on your own experience with installing fences and your personal preferences when looking at the benefits of hiring a professional fencing company. If you have questions or concerns about installing a fence and the benefits of hiring a professional fencing company in Layton; feel free to give A Fence Utah a call! Our experts are happy to answer any of your questions! « Can you install a vinyl fence in the winter? Get your free quote (801) 336-5286 We can schedule a quote in Site!